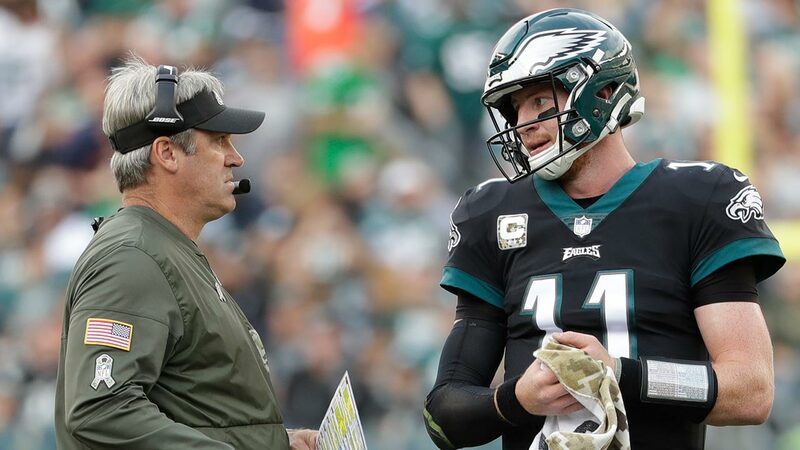 PHILADELPHIA (WPVI) -- Could anyone have predicted this team would be 8-1 heading into the bye? They've got a second year coach and a second year quarterback and they've already surpassed last year's win total through nine games. How about this offense? Missing their Pro Bowl Left Tackle and Carson Wentz's top target in Zach Ertz. Facing the top defense in the league, a defense that hadn't allowed a rushing touchdown all season, and they score over 50 points and run for over 200 yards? Chris Long told me he's never been around anything like it, and remember he played for the Super Bowl winning Patriots last year. The defense in awe of the offense.The offense crediting the Defense for their success. Alshon Jeffrey said they're only this good because they go against the best in practice everyday. Here's hoping these guys stay this humble and hungry for the next two weeks till their date with Dallas.